Posted on December 14, 2013 by Siopao Posted in Newtown	. Having left work yesterday to catch a 6:45 movie at Dendy Cinemas meant not having much time to eat dinner. The wonderful thing about eating out in Newtown is that you have so many options when needing a quick, cheap but delicious meal. 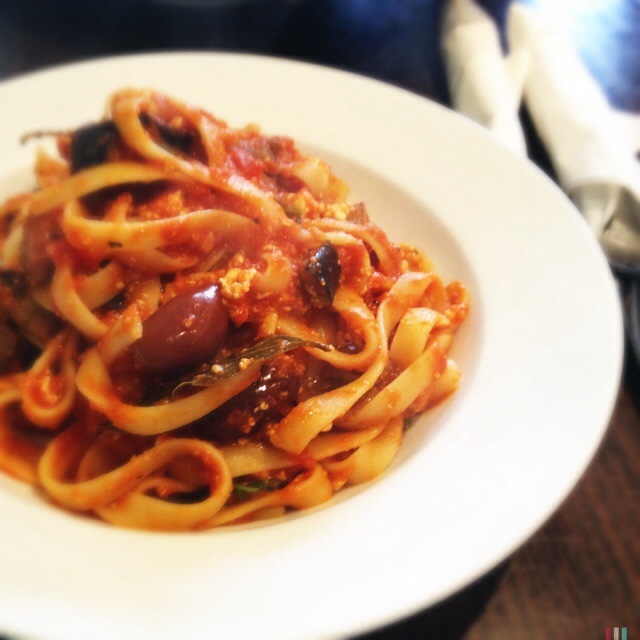 The Italian Bowl was close to the theatre, has great tasting pasta and costs south of $15. My pick for a pre-movie dinner was this Linguini Siciliana. Olives, eggplant and ricotta in a very tasty napolitana sauce. Linguini Siciliana, originally uploaded by holimac. Tags: food, pasta, restaurants	.